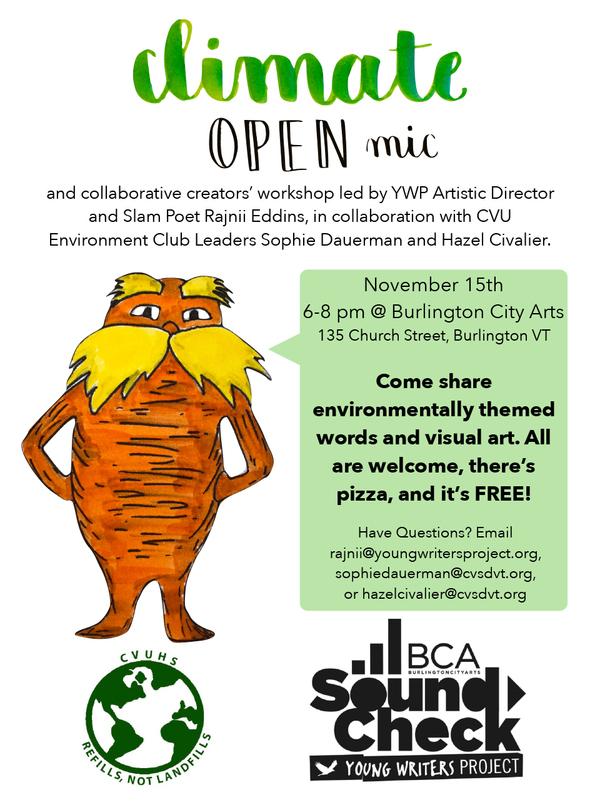 Sophie and Hazel, environmental club leaders at Champlain Valley Union High School, led an open mic and workshop on this critical issue on Nov. 15 at Burlington City Arts. This is part of YWP's Voices for Change project. If you missed it and want to write about this issue, respond to these challenges created by Sophie and Hazel. Would you like to lead a Voices for Change open mic and workshop, or suggest a theme? Contact Susan Reid ([email protected]).